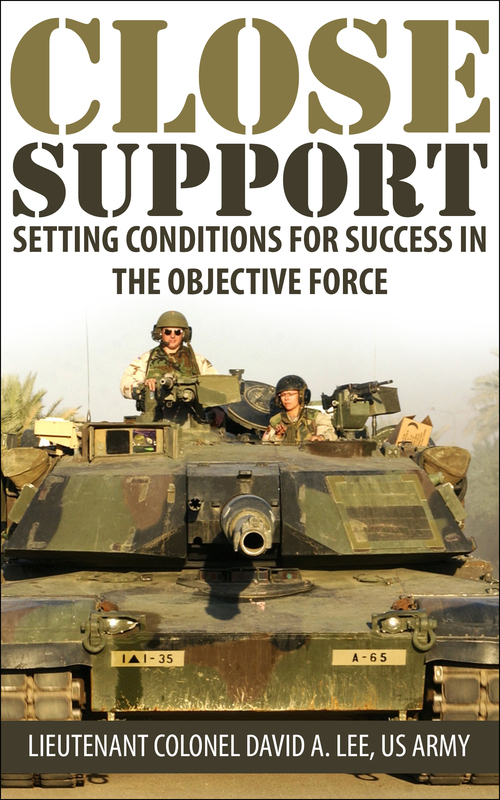 Buy your copy of Close Support: Setting Conditions For Success In The Objective Force on Amazon.com! In October 1999, the Army proposed to change its organization based on the emerging security challenges of the twenty-first century. The Army Chief of Staff, General Eric Shinseki, charged the Army staff and commands to develop a future force capable of responding more rapidly to the full spectrum of likely operations. Army Transformation has begun with the shift in focus from large, heavy armored vehicles that are very survivable to a more lightly armored force that is “strategically responsive and dominant at every point on the spectrum of conflict.” The first organizational manifestation of this change is the Stryker Brigade Combat Team (SBCT). The transformation to this organization will be achieved through changes in doctrine and training as well as technology. It will culminate with the fielding of the Future Combat System (FCS) beginning in 2010. The FCS will be the common combat system in the Unit of Action (UA), which is the brigade-sized element in the Objective Force. In order to compensate for the loss in protection available to more heavily armored vehicles, the commander of the SBCT, and potentially the UA must rely on enhancements in firepower. The purpose of this work is to examine what changes to Army doctrine and proposed future combat systems for the Unit of Action will be required to take full advantage of the integration of precision close air support and improved field artillery munitions. The burden of this thesis will be to determine precisely how maneuver force commanders should exploit these technological improvements in precision Close Air Support (CAS) and ongoing improvements in field artillery to offset the potential vulnerability of the FCS and what changes in doctrine are required to integrate these improvements on the battlefield. For the Objective Force to achieve its full potential, the Army must account for the dramatic changes in ground warfare that result from the use of precision munitions. The rapid pace of future warfare requires leaders capable of planning, coordinating and executing while on the move. With the shift to a lighter vehicle, force protection will be decreased and the UA commander will require improvements in other elements of combat power. These can be achieved through increased use of air and artillery properly integrated into the commander’s plan. Such integration will require an even greater level of cooperation between the Army and the Air Force than existed during the era of AirLand Battle. Technology has given us the means. Now soldiers and airmen of vision and good will must step forward and boldly and selflessly work together to realize the full fruits of the emerging capabilities of precision munitions.